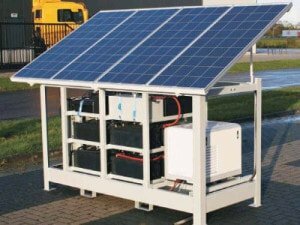 Off grid solar power systems are also known as standalone Solar Power Systems; these systems are totally independent of any electric utility grid. Mostly its usage is based on rural areas where grid electricity is not available or other reason would be the high price of electricity. In such areas, it is best to produce your own energy via installing a solar power system. Off Grid Solar Power Systems are used to collect and store solar energy to be used by household appliances. These systems typically generate from 100 Watts (very small systems) to 5 kilowatts (larger systems, multi-family homes). Off Grid Solar Power Systems are composed of solar panels array, controller and battery storage. Our Off grid solar power system can be used in many application fields. Off grid solar power systems, or in other words off grid solar kits, are not connected to utility company. They cannot take or feed power back into the grid. They keep the energy produced by the solar system into the battery bank. The system comprises of solar photovoltaic panels which are connected to the inverter. A photovoltaic panel generates energy by its system, which can be used in supply of electrical use to any appliance that are connected to the battery storage.